1.) 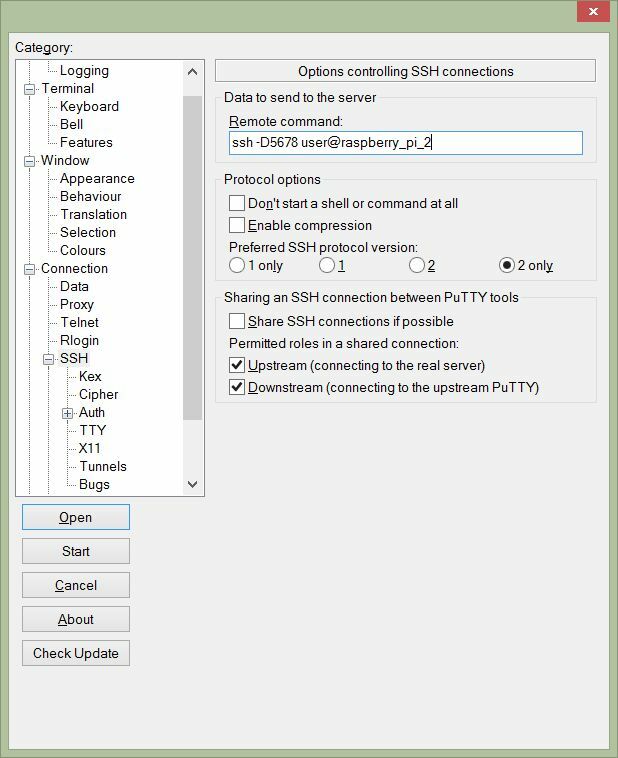 Connect via SSH with Putty from Windows PC over Raspberry Pi 1 to Raspberry Pi 2 and access its network and internet connection. 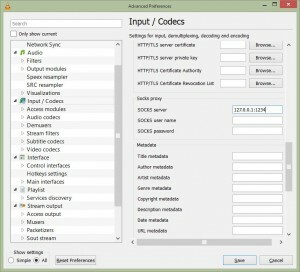 This can be accomplished with ssh multi hop proxy solution. 1.) SSH session from Windows PC to Raspberry pi 1. 2.) 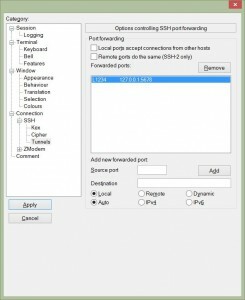 Configure SSH port-forwarding. In my case Local Port 1234 on Windows PC will forward traffic to Raspberry pi 1 to port 5678. 3.) Automatically a SSH session from Raspberry pi 1 to Raspberry Pi 2 will be established. 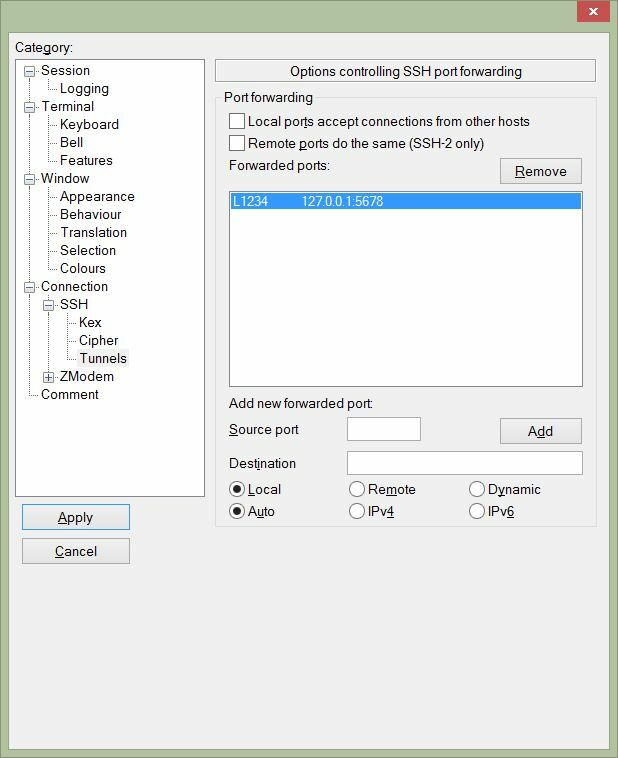 Dynamic port forwarding 5678. 1.) 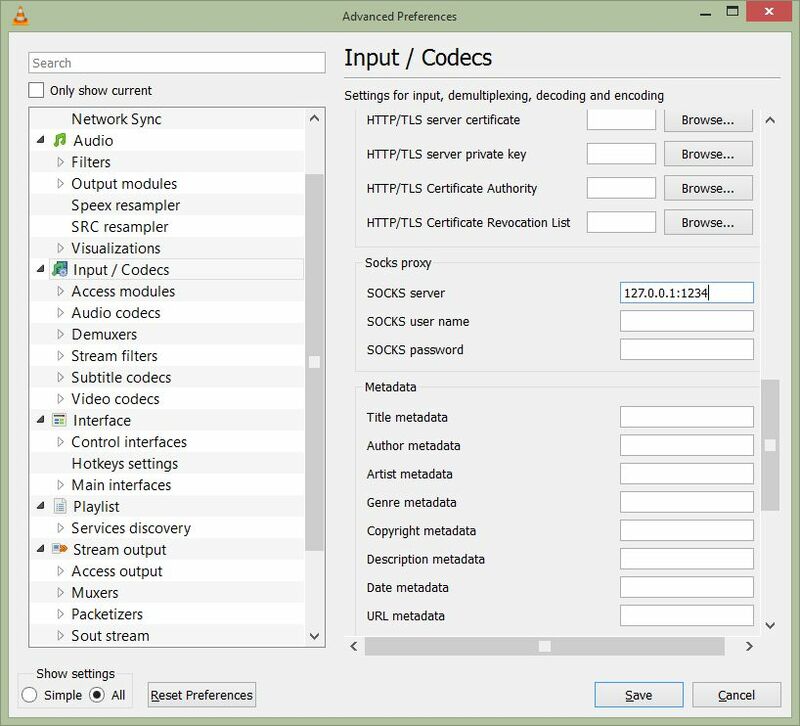 Possible to access network components as Router which is connected to Raspberry Pi 2 just type the IP address of the router as you would be in the network. 3. Access Camera Module on Raspberry pi 2.